Proponents of atoms-to-entomologist evolution include natural selection as a means of evolution, although that has been largely abandoned. Except when it is convenient to equate natural selection with evolution. It is often included with mutation as a means of upward changes. Evolution itself is not operational (observable) science, but is historical science instead. Also, science needs to make predictions, which is something that evolution fails more often than not. 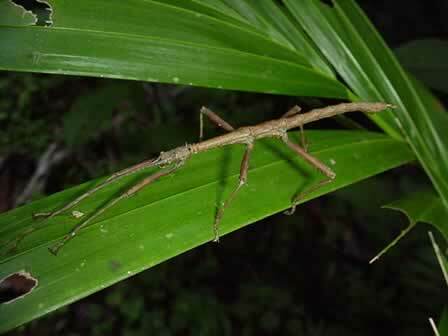 A study of those stick insects ("walking sticks") was undertaken to see if random chance could be predictable. Yes, it doesn't make sense to me either: random doesn't lend itself to predictability. What did researchers find? Disagreement. David Coppedge, the author of the article linked just below, shows how the concepts of Darwin and his successors fit the "Stuff Happens Law". This law is just as scientific as Darwinism (and the they have some things in common), as he explains after the link. Not happening here. To find out what Zahn said, the study findings, and the Stuff Happens Law, click on "Natural Selection Is Not Predictable".